A few minutes walk from Piccadilly Circus tube stop and 5-10 minutes walk from Oxford Street tube. My dad and I ate half medium chicken with regular peri-salted chips and side salad and drank two bottles of rubro lemon and rubro berry. The food is very delicious and fresh. We got there from National Gallery. The nearest tube station is Piccadilly Circus. On the Sunday of the last weekend before Christmas what better way to break up the Christmas shopping on Oxford street and Regent Street than with a cheeky Nando's. I had a fabulous time at another reviewer dinner. The conversation was sparkling, the quiz left me quizzical and my food was so hot I considered putting my face under the frozen yoghurt machine. Luckily I managed to restrain myself. It was a cracker and an absolute scorcher. Well done, James and Marc. As usual, the dinner was a triumph. Hope to see everyone soon. RYNXXV at Glasshouse Street was a great event. You enter the restaurant at street level and then go down a spiral staircase. I arrived and some tables had been reserved for our group. We already had glasses put out for us so we could get a drink straight away and for free which I thought was a nice touch. Fantastic frango burguer at Nando's Glasshouse street. Reviewer Dinner number 25, and Glasshouse Street was the location, I think it was my first visit to this Nando's. The staff were very helpful as usual. Free sides were great too - Thanks Marc and James, put on a good spread. Food came relatively quickly from what I remember and was great! Lots of peri peri! The quiz was good too! Would definitely return again if I was in the area. This branch is easily accessible by public transport, as lots of buses pass through Piccadilly Circus. And it’s also well served by the tube. It’s a typical central London branch so a small eating space at street level & a much larger tardis-like area underground. First time doing here for dinner, the service was great from all staff. Less than five minute walk from Piccadilly Circus tube station, east side Regent street exit. Reviewer Dinner number 25, and Glasshouse Street was the location - an outlet I have visited twice before. The staff here were simply superb. Very friendly and couldn't do enough for you. There's a tendency at reviewer events for everyone to be on their best behaviour - however on previous visits I have experienced the same high standards of staff! Killing time before the train back to the North, it was decided to visit Nandos, and one that has been visited before, Glasshouse Street, was the selected venue. Great little place hidden away. when the order was being taken, the women help me make it cheaper by putting sides with other meals. worked out well, taking my partner out for £13. Toilets were clean as expected and the overall places was lovely and well presented. As you walking it the is an upstairs part which you wait for a table and then the whole downstairs is a different world. Fairly Busy and around a 10 minute wait for a table. Service when ordering was good and took no time at all. I work fairly close to this nandos and often use this to take food away. Whenever we have made large orders (£100 worth!) we have never had a situation where food has been missing and its always been ordered and collected in good time. 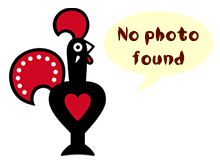 For a Nandos which is based near Oxford Circus and can get very busy, it is run very well. Keep it up! This store in central London is surrounded by busy pubs and the store front is of a single shop which hides its larger interior a bit like a Tardis. There were a few seats and tables on the pavement outside but being that this isn't France and I'm not a hobo i headed straight inside where you arrive in a little lobby with stairs descending and a greeter to welcome you (though he seemed most interested in chatting to his friend) and a back wall full of impressive artwork. The food was excellent and the sauce added great flavor. Restaurant is very clean and well decorated but it is small and I think the space could have been used a bit better. Squeeze in a few more tables and it still would have felt roomy and comfortable. I would image the wait would be quite long during peak times as the restaurant is in a very busy area. I decided to go to this branch because it’s half way between me and my girlfriend and so close to Piccadilly circus, I usually try to avoid going on Friday nights because I know it’s bound to be really busy… and this was no exception..
Pleasantly surprised by the fact that the two of us could be seated immediately at 1 30 in the afternoon, we were taken to our seats which were tightly spaced downstairs. Yet again Nando's has left me in awe. Although there was a wait for the table, Nando's compensated for that with perfectly cooked and marinated chicken served by very welcoming staff. This particular branch set us up nicely for the evening we had ahead of us, it's nestled amongst many great bars so it made for a perfect night out. An intriguing spiral staircase as you enter! In the vicinity you have a pub next door called the Leicester Arms and if shopping is your thing, Regent Street is round the corner!